Toronto – October 31, 2018 – UFCW Canada welcomes the Government of British Columbia’s introduction of new regulations aimed at protecting workers enrolled in the Temporary Foreign Worker Program (TFWP), and says additional reforms are needed to ensure proper enforcement of the new rules and to empower workers participating in the program. Under legislation proposed by B.C. Minister of Labour Harry Bains, the province would require mandatory licensing of labour recruiters and registration of all employers that use the TFWP in order to protect participating workers from abuse. In addition, the government is offering resources for job site inspection and enforcement of the new regulations, as well as major financial penalties, exclusion from the program, and possible jail time for employers and recruiters who fail to follow the new rules and treat workers with respect and decency. The proposed regulations come in response to widespread employer exploitation of migrant and temporary foreign workers enrolled in the TFWP in B.C. 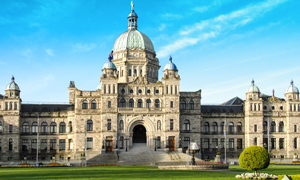 “UFCW Canada is keen to work with the B.C. government to help strengthen the regulations, and to provide our experience and support in ensuring the workplace and safety rights of temporary foreign workers are respected,” Meinema adds. 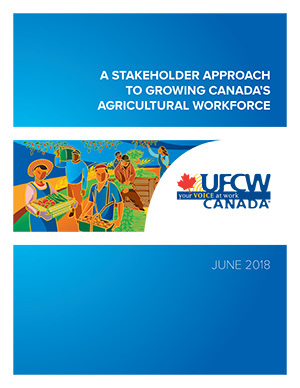 For more than thirty years, UFCW Canada has led the way to bring justice, safety, seniority, and better wages to workers who participate in the TFWP, particularly those working in the agricultural sector. Together with the Agriculture Workers Alliance (AWA), UFCW operates numerous support centres for migrant farm workers labouring in Canada. To find out more about UFCW Canada and its ground-breaking work, please visit www.ufcw.ca/awa.